Do you have ancestry from Brisbane? 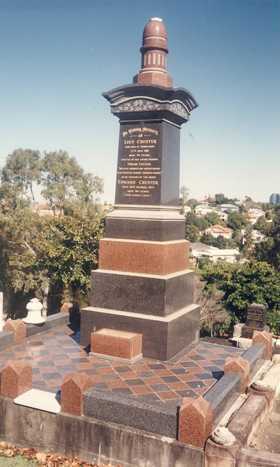 Bulimba Cemetery, also known as Balmoral or Morningside Cemetery, is located at the junction of Wynnum and Bennetts Roads in Morningside, a suburb of Brisbane. Though it officially opened in 1875, the first burial was in 1874 of George Wilson Pointon, a six year old boy who drowned in Norman Creek on 20th June that year. In the following years, many people from different nationalities and walks of life have been laid to rest in the grounds. Time and vandalism have taken their toll and remain a constant threat to the history recorded on the headstones. In an effort to preserve this history, members of the Queensland Family History Society first recorded the inscriptions at Bulimba Cemetery in the early 1980s. An update of the transcript was done late in 1993 to record any additional inscriptions and to note those headstones which had been subject to vandalism. There are hundreds of names in the index, so if you think your ancestry may be among them, this is invaluable genealogy tool for exploring your family history or building a family tree.